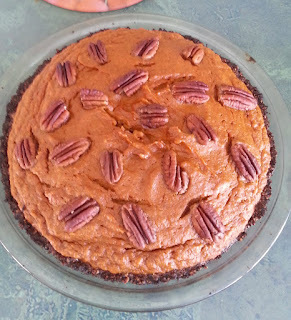 I have been making this dairy-free pumpkin pie for many years. 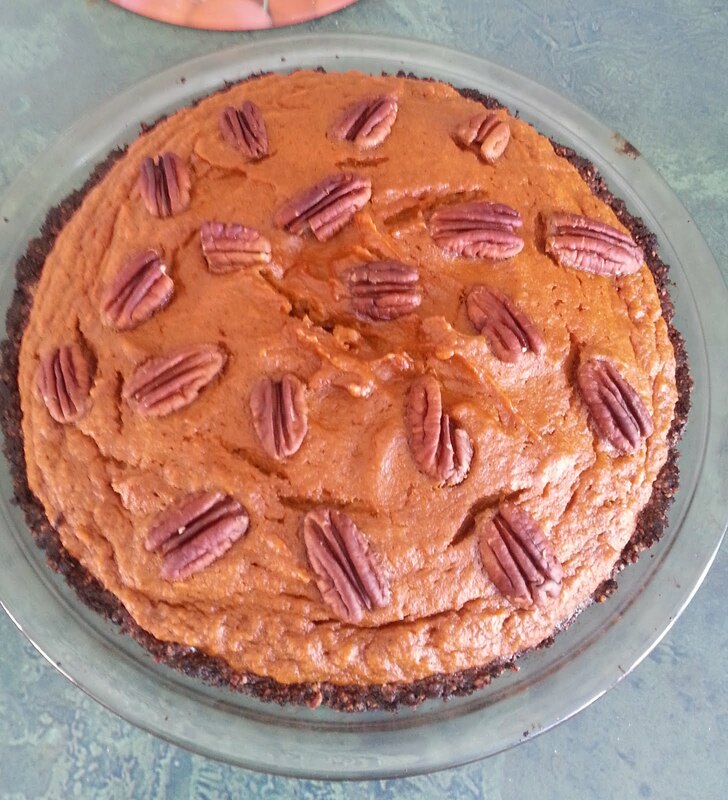 I first made it for a friend who craved pumpkin pie but could not eat any dairy. It's my easy go-to pie. I have experimented with the crust. 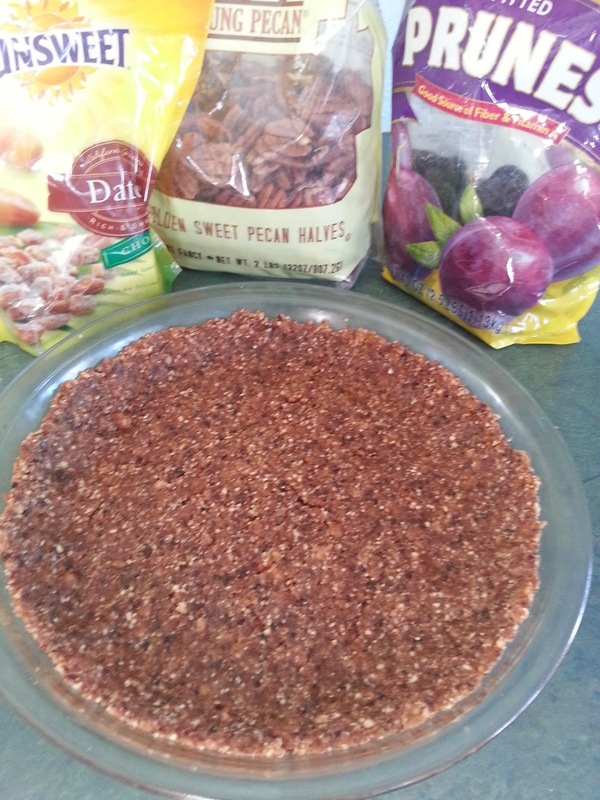 I've tried gluten-free flour crust and have tried oatmeal and nut combinations. I think my favorite crust that compliments this not-too sweet pumpkin pie is a crust using dates and prunes. Serve topped with a dollop of whipped coconut cream. Lightly grease a 9" glass pie plate with coconut oil. 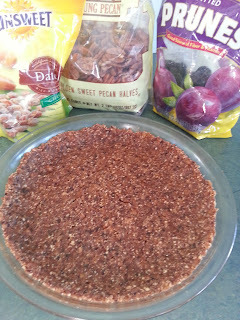 Process the walnuts or pecans with the dates and prunes until finely ground. The mixture will look like a paste. Press into pie plate. Bake for 5 minutes. Set aside. Make filling and add to pie crust. 2. Beat together eggs with sugar. Add pumpkin and other ingredients. Continue beating. You can also do this whole step in a food processor. 3. Pour into pie crust. Decorate with Walnuts or Pecans if desired. 4. Bake in preheated 350 degree oven. Bake for 45 minutes or more. It is done when an inserted knife comes out clean. Cool and eat! Note: The filling will not reach to the top of the pie crust. Serve with whipped coconut cream. 1 can coconut milk. My favorite is Organic Native Forest. It has a good deal of cream. Chill overnight in refrigerator. 1. Chilling the can of coconut milk will cause the cream to rise to the top and .makes it easier to pour out the liquid and keep the solid cream. Save the coconut water for smoothies or other uses. 2. Scoop cream into chilled bowl, add syrup and vanilla and beat until soft peaks are formed. Coconut whipped cream does not separate when kept in the refrigerator. It actually will set up firmer.